A professional social media strategy can really pay off for your business. Discover the benefits now, use the button here below! 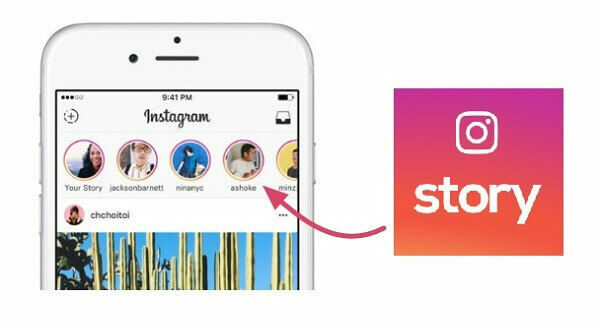 The Instagram Stories feature has been around for a while and is being used by more than 300 million people worldwide. Not only is it interesting for personal accounts, but companies can also make good use of Instagram Stories. Instagram Stories are images, boomerangs or short films that you can add to your Instagram account. Your content will then be visible to others for 24 hours (this is also called ephemeral content) and that is precisely the success of Stories. Stories responds to an important trend within marketing: FOMO (fear of missing out). The first step is always determining your goals. Think carefully about what you want to achieve with Stories. Do you want to give a look behind the scenes of your organization or promote a product and generate more traffic? As soon as your goals are formulated clearly, you start working on creating and creating the content for your Stories. Make sure you make a clear plan … and you’re good to go! Leave some space for spontaneous actions or current events. Stories lend itself well to generating more traffic to your website. There is a big ‘but’ behind it, namely: you have 10,000 or more followers, otherwise you can not place a direct link to your Stories. Very sorry, but no panic. There is a convenient way to generate traffic with a smaller account. You can – regardless of the number of followers – add a link in the bio on your Instagram profile. You can then state your organization in the Stories by clicking on ‘Aa’ (= function to add text) and then typing @your organization. In this way, you still refer the users to the link (in your bio). Nowadays it is also possible to store the temporary Stories as Highlights on your Instagram profile. Go to your Story and click on ‘Light’ in the bottom right corner. Ideal for example to highlight your products and generate more traffic. Create interaction and increase engagement by simply adding a poll to your Stories. The poll has two answer options and is an excellent way to ask for the opinion or feedback from your followers. Make the poll a part of your story and involve your target audience in the process. By sharing the results of a poll you make voting more fun. So you see that Instagram Stories is not only reserved for the individual users but that there are also many opportunities for companies. Get started, experiment and analyze what works best for your organization. Also, tell your story with Instagram Stories. Do you want to know more about the successful use of social media? Contact FML Marketing now by leaving your details below, or give us a call at (+34) 6 50 80 12 43. This entry was posted in content marketing, Instagram, Marketing, restaurant marketing, social media and tagged content marketing, digital marketing, Instagram, Social Media, social media mar.